50 Fun Things to do in the Tampa Bay Area - Page 8 of 8 - Top Ten Travel Blog | Our experiences traveling throughout the US. This large, clean mall is conveniently located nearby the airport, allowing travelers to shop at the many high end stores. In addition, the Renaissance Hotel Tampa is located right on the premises. This modern mall features an attractive contemporary, clean design. 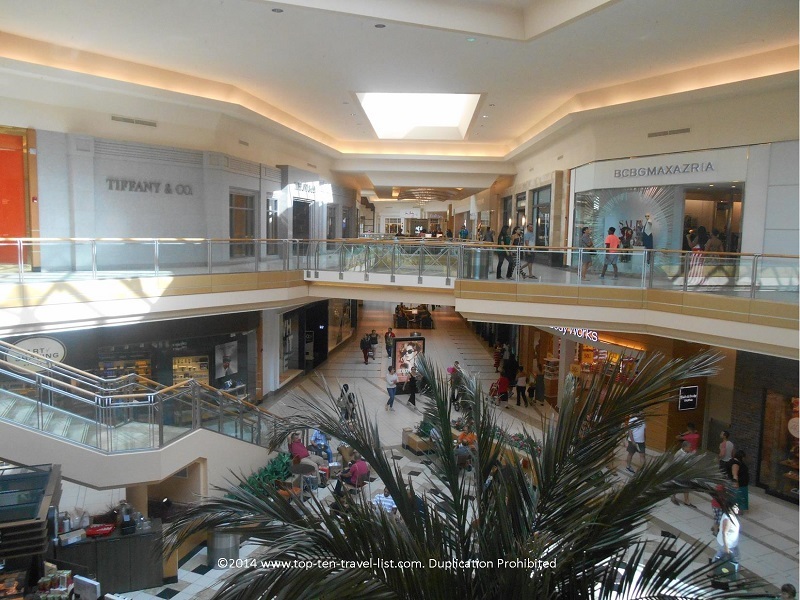 International Plaza is the place to go in Tampa for high end shopping – Gucci, Louis Vitton, Tiffany, Kate Spade, and a host of other luxury retailers can be found here. In addition to shopping, you have a beautiful outdoor sidewalk cafe area known as Bay Street. Here you will many of the high end chains like The Cheesecake Factory, Bar Louie, The Capital Grille, and many others. The dining area is separate from the mall, making it a great spot for date night even if you do not feel like shopping. Outdoor seating is especially attractive during the cooler fall and winter season. 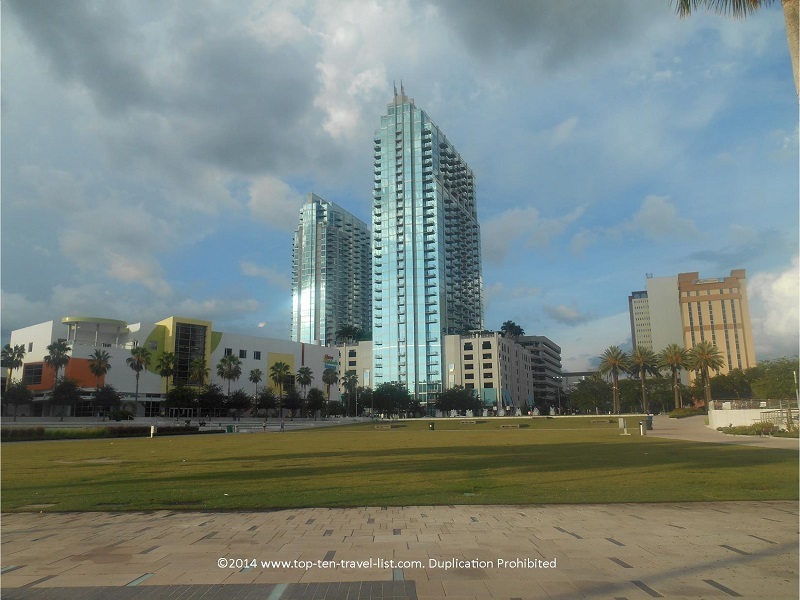 Downtown Tampa’s park is easily accessible due to it’s central location nearby many top attractions like the Tampa Museum of Art and the Riverwalk. The beautiful setting on the river makes it the perfect place to take a break before heading out to your activities. The highlight here is a free Sunday yoga session. If you have ever wanted to take a public yoga class, the setting here is as good as ever! Cinebistro, a luxury dinner and a movie theater, with 2 locations in the bay area, is a great choice for those who would like the convenience of dining pre-show without the need to find a separate restaurant. Orders are taken pre-movie as to not bother guests, and most meals arrive before the previews have ended. Other benefits include: 21 and up admission, a full bar, and a great location in Tampa’s scenic Hyde Park Village. Special classic films are screened every Tuesday. One of the highlights this year is a special screening of White Christmas on December 15th and 16th. Visit the Cinebistro website to conveniently reserve your seats online. Address: 1609 W Swann Ave, Tampa, FL 33606 (Tampa Hyde Park location) & 6333 Wesley Grove Blvd. Wesley Chapel, FL 33544 (Wesley Chapel location). 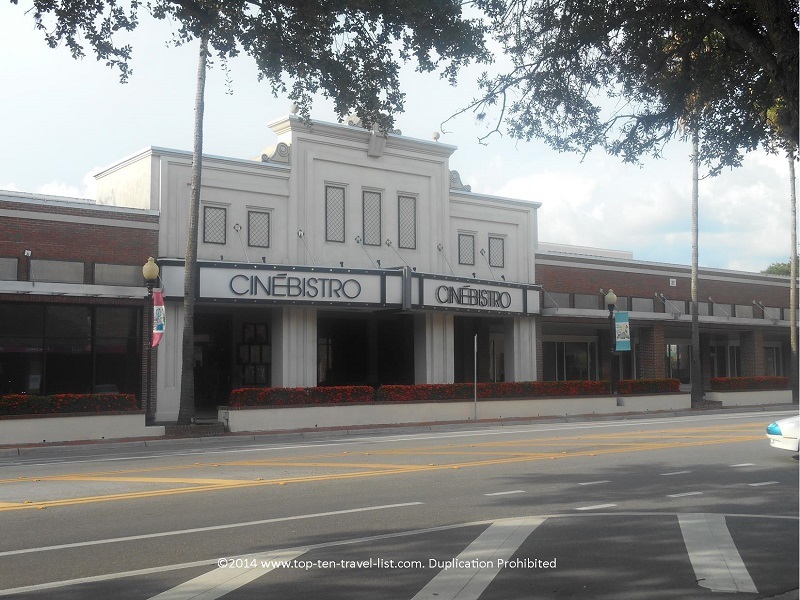 *If you are looking for more of a budget friendly movie going experience, head over to New Port Richey, home to Cinema 6, the only discount movie theater in the area. Here you can see second run movies for a fraction of the cost ($3 only). 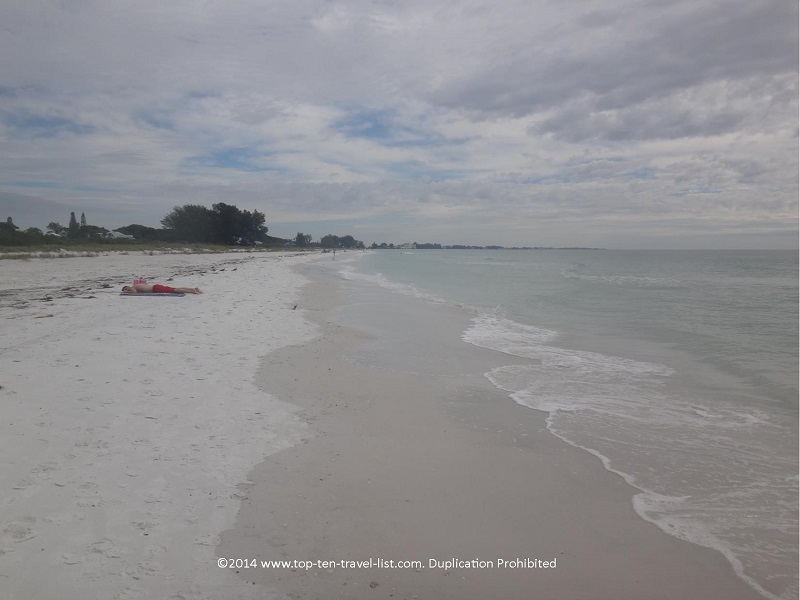 Anna Maria Island, located just an hour south of Tampa, is one of the best beaches in the area. Here you will find gorgeous, smooth white sand, a beachfront restaurant, fewer crowds, and a charming downtown area filled with local shops and restaurants. The beach is secluded without a lot of commercialization around, making it the perfect choice for a relaxing beach outing. On a side note, this beach has pretty hard packed sand, and let’s just say we woke up with a really sore upper body the next day. I recommend a quality beach chair – a little bit of an upfront cost, however, you can use it the entire summer season. 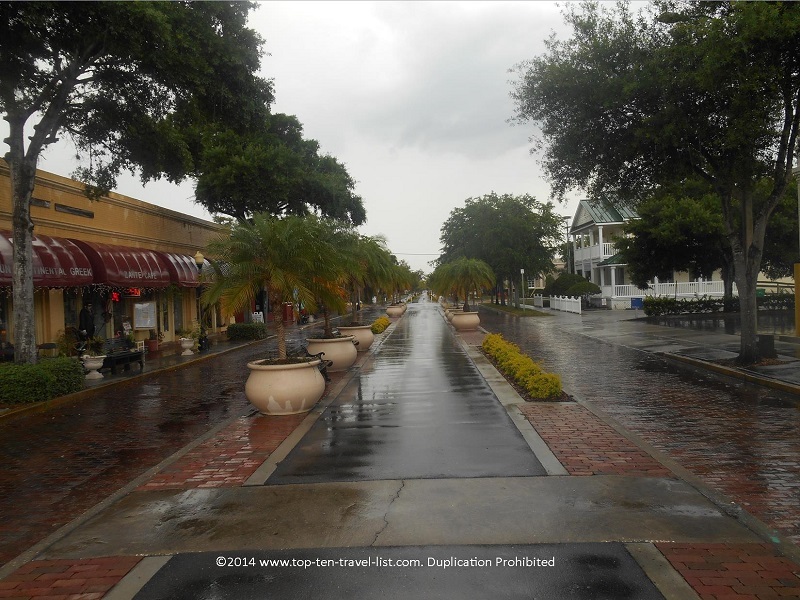 The city of Tarpon Springs is most famous for its Greek culture and sponge docks. The city has the highest number of Greek residents of any US City and is known as the “Sponge Capital of the World.” In the Sponge Dock District, you can watch many interesting films about the history of the industry. Greek restaurants, shops, and cruises are other popular activities in the area. You will also come across Spongeorama, home to the largest selection of natural sponges in the world. Downtown is home to Tarpon Avenue, a quaint area featuring many unique local restaurants and shops. In addition, various festivals and events take place throughout the year. Bargain hunters are in luck – the Tampa area as no shortage of flea markets. I’ve never seen so many year-round flea markets. N0 matter where you travel to, you are bound to pass a weekend flea market. 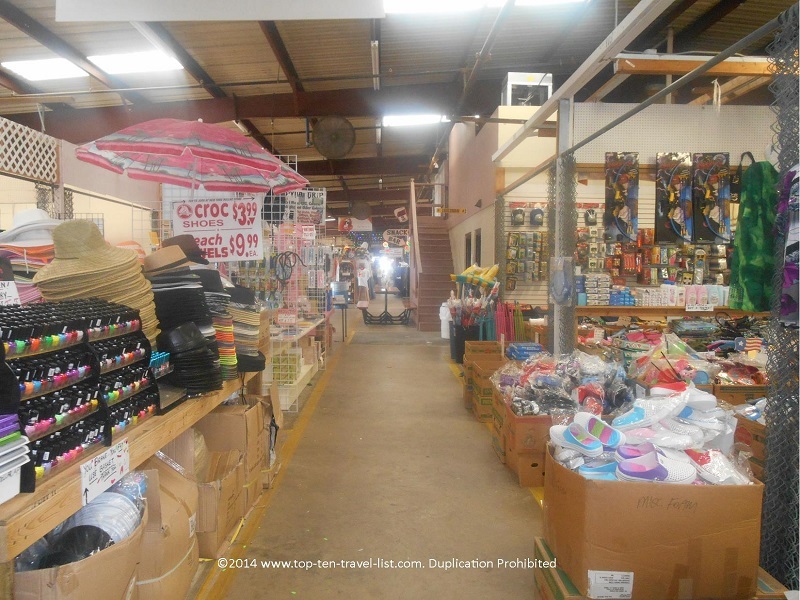 There are several great options, although my personal favorite is the Oldsmar Flea Market, a 30 plus year old market situated on 20 acres. This huge bargain shopper’s paradise has everything you can possibly think of. Plus, it is covered and air conditioned – perfect for the hot, rainy Florida summer season. Have you visited any of the attractions listed above? What are some of your favorite things to do in the Tampa Bay area?